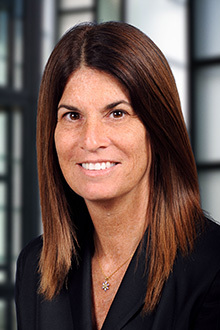 Cindy Mishcon is a partner in the Fort Lauderdale office of Lewis Brisbois and a member of the General Liability and Appellate Practices. She has briefed more than 100 appeals in her career, and has argued appeals before Florida's First, Third, and Fourth District Courts of Appeal, before the Florida Supreme Court, and before the Eleventh Circuit Court of Appeals. She also regularly prepares and responds to post-trial motions for directed verdict and post-trial motions for attorney’s fees. Ms. Mishcon’s practice covers several areas of law, including premises liability, products liability, school board liability, employment liability (discrimination and harassment), police officer liability, civil rights, false imprisonment, malicious prosecution, defamation, motor vehicle accidents, general negligence and wrongful death, and director and officer liability. Ms. Mishcon has extensive trial experience – preparing and responding to motions in limine, preparing jury instructions and verdict forms, and preparing witness and exhibit lists. Pre-trial, she is involved with all aspects of litigation, from initial case review to responding to complaints, discovery, and preparing and responding to motions for summary judgment, motions for sanctions based on fraud, and motions to dismiss. Ms. Mishcon graduated with distinction from the University of Miami School of Law. Following graduation, she interned for the Honorable Natalie Baskin of Florida’s Third District Court of Appeal.